16313.339 Leander Crane 8 BIGELOW, son of Elisha 7 ( Timothy 6 , Amasa 5 , David 4 , Lt. John 3 , Joshua 2, John 1), and Abigail Rice (CRANE) BIGELOW, was born at Brookfield, Orange co., VT on 01 November 1831 and married on 19 November 1866 Mrs. Mathilda (Heath) Knapp. 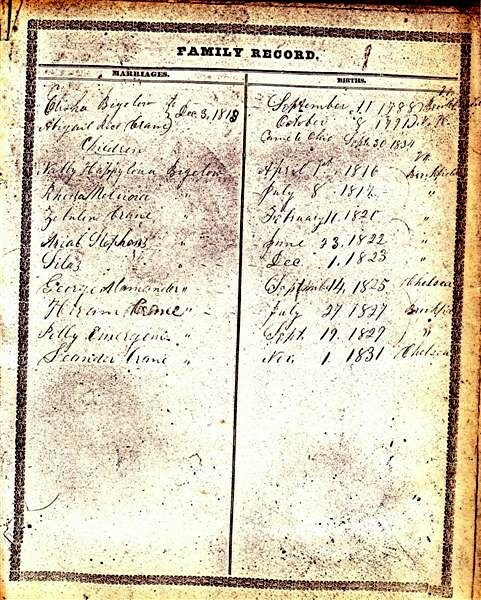 (Geuga county records state m 17 November 1865 Mathilda Knapp ? 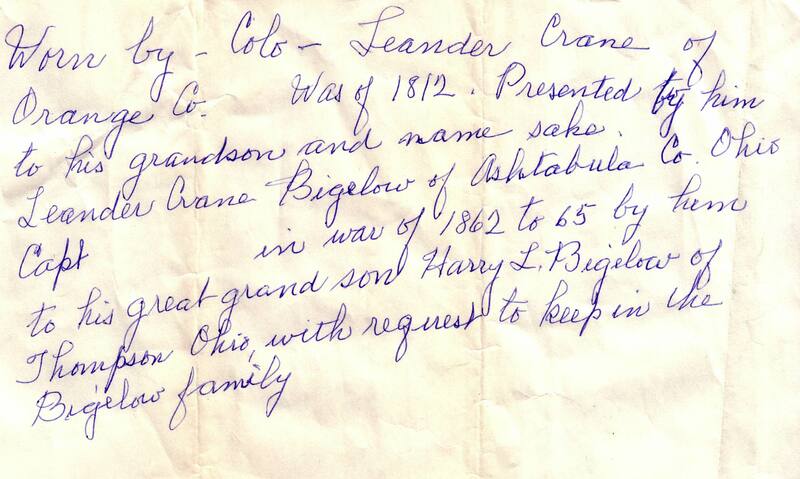 ); 2 children - (see below) Mathilda was born about and died 06 August 1916, and Leander died 18 January 1917. Both are buried Thompson Centre, OH. Donald Judd, Kirtland, OH married Ethel Mills, she died 2004? 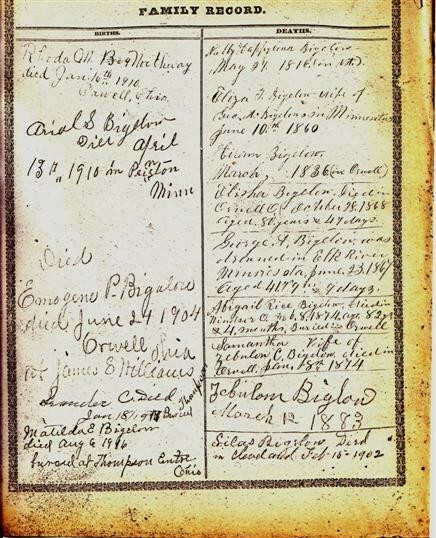 1.Donald Judd, Kirtland, OH married Ethel Mills, she died 2004?